It's the last weekend before Christmas, which means you are probably going to be cleaning and last minute shopping or packing or doing whatever it is you need to do to get ready for Christmas. But if you're not, you could do any number of fun things in Glasgow. If you're a swim fan, you'll want to attend Duel in the Pool, which sees European swimmers taking on the USA team at what is called the Ryder Cup of swimming. Enjoy live big band versions of your favourite Christmas tunes with mince pies and mulled wine at Sloans - a perfect way to wrap up your shopping. Scottish Ballet's Christmas productions are always worth braving the horrible weather - this year's Hansel & Gretel should be no exception. 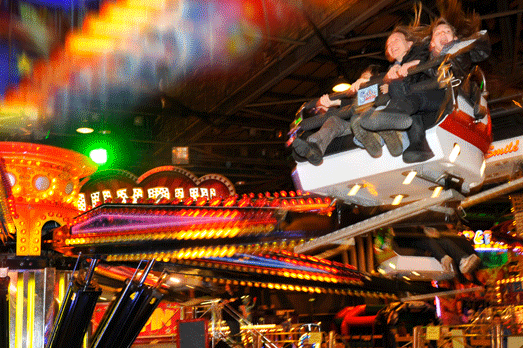 If it keeps raining, the Irn-Bru Carnival at the SECC might be the best way to wrap up the weekend. It's Europe's largest indoor carnival and features rides and games for all ages.